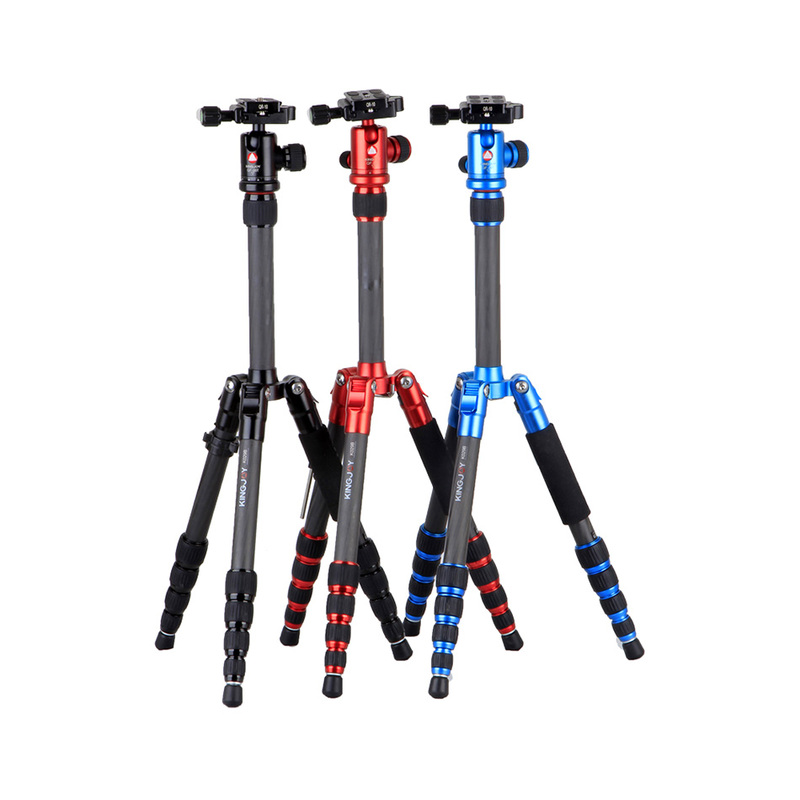 ‘Scenery Fairy’Series tripods adopt pure high strength forged aluminum, with the anode oxidation surface treatment, which makes the tripods look more colorful and exquisite appearance, while the tripod stablility and abrasion resistance are also greatly enhanced.The most popular folding legs design, comparing the similar tripods in the market, it is 30% more compact, the tripod is easier for storage and transport. technology, high strength and more stability. 3 locking angles: low, medium and high. greatly increase the tripod stability. terrain even harsh condition, assure safety and stability.